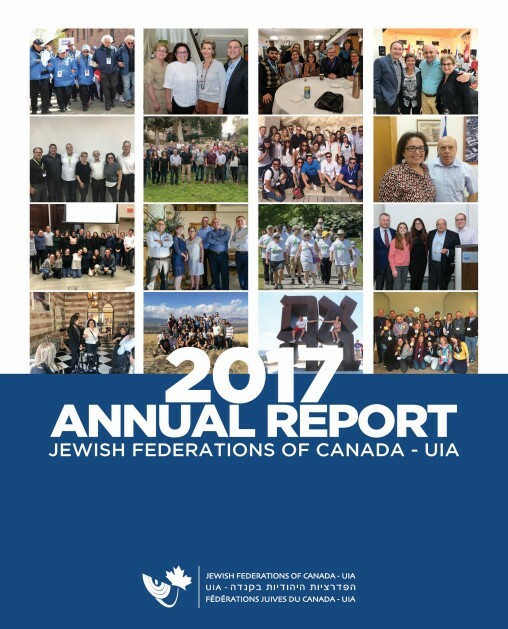 Since 1967, Jewish Federations of Canada-UIA has worked in partnership with Jewish Federations and regional communities across Canada to strengthen Jewish life and raise funds for programs and services in Canada, Israel and overseas. Initially, the organization’s main purpose was as a central body to manage fund transfers to Israel and work with the Jewish Agency for Israel. Early organizational focus was primarily on fundraising, educating and engaging leaders and donors from across the country in support of immigration to Israel; and overseeing projects and programs primarily in Israel. In the 1990s, focus was broadened to include Jewish Identity initiatives on a national scale. In 2004, The Centre for Israel and Jewish Affairs (formerly the Canadian Council for Israel and Jewish Advocacy) was created to better identify and address issues important to the Jewish community and assist in communicating with government, media, community, business and academic leaders to build deeper understanding and close relationships. Today: Jewish Federations of Canada – UIA represents ten Canadian Jewish federations and four regional councils. The organization and its agencies provide direct services to independent regional Jewish communities where there is not a formally organized Jewish Federation. Representing the interests of the national Jewish collective on both domestic and international stages. Key strategic partners that act as agents in the delivery of programs in Israel include the American Jewish Joint Distribution Committee (JDC), the Jewish Agency for Israel (JAFI), the government of Israel, the Rashi Foundation and other Israeli philanthropic groups. Jewish Federations of Canada-UIA (legal name United Israel Appeal of Canada inc.) been legally recognized as a registered charity by the CRA since 1967. Click here for more annual reports.